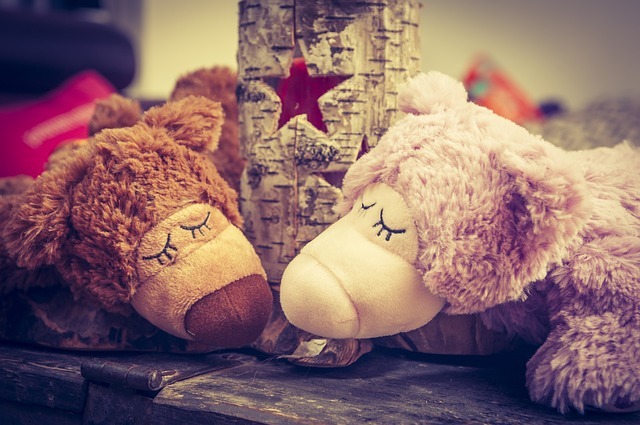 Some Astrological Tips for taking care of Intimate Relationships during the Holiday Season! 1. Remember that holidays tend to be stressful for many people, whether you are in an intimate relationship or not! They inevitably bring up childhood issues and memories, both the good and not so good! It helps to be aware of what these are for you. Making a list of them and journaling your feelings can make it easier to separate the past from the present. Which ones are most raw and likely to be triggered? Notice what your usual patterns are and which feelings tend to be prominent for you at this time of year - sadness, resentment, loss, anxiety, disappointment, hope, excitement...? Have a look at the natal planetary aspects to your Moon as they can offer a lot of information re your emotional reactions when you are triggered. For e.g. Natal Moon/Neptune may be more inclined to feel sad whereas natal Moon/Uranus may feel anxious. Also keep in mind if you or your significant other have had a bereavement or loss recently, or are facing an impending loss. Checking out the current Planetary transits to your individual and composite chart can help to assess what is being highlighted for you both. It can also be useful to focus on Planetary Transits that happen at the same time every year in your chart! 2. It’s well worth setting some special time aside with your significant other to just be together. Have a look at where your Composite Sun is to remind yourself of what feeds your relationship. 3. Finding 10 minutes morning and evening to communicate to each other about how you are feeling, (as opposed to practical conversations) can be really helpful at this busy time! Be aware that if your Mercury is in a different element you may do this very differently and find it easier or more challenging. Mercury in Water may need more time to connect with how they are feeling and can struggle to find words. Mercury in Air may find words easier, but may not be fully connected to what they are feeling. 4. Leaving little appreciation notes in places that your significant other will find can make a difference to their day. Check out what resonates with their Mercury by sign. For e.g. Mercury in Earth will probably enjoy some carefully chosen words of gratitude, whereas Mercury in Water prefers something romantic. 5. Choosing an activity that you each enjoy and planning to do both of them together as a gift to each other can be a lot of fun amidst the hustle and bustle of holiday time! 7. Carving out some alone time to recharge is crucial. Your natal Moon sign and aspects describe what helps you to self-nurture so that you can self-care and not lean on your significant other to 'parent' you. This frees them up to take care of themselves and be your companion, lover and friend. If you are not in a relationship, holidays often offer some valuable space to focus on what nurtures you. 8. Being honest about your holiday plans helps to avoid stress. It’s good to check with yourself how much you are prepared to compromise and where the boundaries are. Avoiding people who are not supportive of you as individuals and as a couple reduces stress for you both! This includes protecting your relationship from other people’s involvement, including ‘well-meaning’ relatives and friends! Saturn in your chart can help you to set clear boundaries! 9. Spending individual fun time with friends gives you some separate space to help each of you unwind. 10. It’s worth keeping in mind that there is a lot of additional collective fear, sadness and distress in the world at present, due to the particularly challenging times we are facing as a collective. This is impinging on all of us individually, as well as on our relationships. Sharing our feelings and constructive coping strategies with our significant other can create closeness, as well as sharing some ways to make positive changes in the world. The composite chart gives clear indications of how you might choose to contribute to the collective as a couple. 11. Mercury is still in shadow through this holiday time, so everyone is likely to need to make an additional effort to be clearer than usual with communication!! Thank you all for reading our posts and listening to our YouTube recordings. Happy Holidays from from of us!